CheapAir, as the name implies, is a flight booking website helping users find the best deals and promotions whenever they intend to travel. The website also offers hotel booking and car rental services along with travel deals, fare tracker, and a strong content delivery. 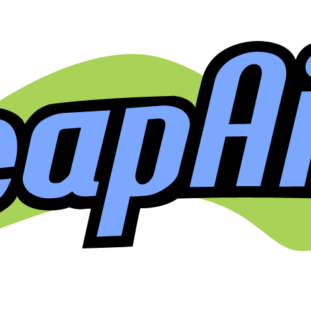 CheapAir got its start as a travel advisor back in 1989 and soon transitioned to the Web. Today, more than 3 million users have booked through the CheapAir platform. The allure over the other services in this industry? Stellar customer service, search up to 100x more options, and price drop payback if the airfare drops between then and now. The CheapAir affiliate program, found mainly through FlexOffers.com, allows partners to earn commissions for hotels, car rentals, airfare, and/or insurance through the CheapAir.com website. Affiliates gain access to a variety of tools and items to improve marketing performance including banners, tracking, and reporting (your usual mix expected with a program). It’s free to join and adds a good alternative to the other, major brands in the airfare industry. CheapAir.com has a strong brand image and easy-to-use platform filled with visual flair. The search feature is a pleasant change from competitor offerings with the bonus of tailored travel advisory services through online contact and over-the-phone. As an affiliate, you get to explore a unique alternative in an industry dominated by a handful of major brands. What are the pros of the CheapAir.com program? What are its drawbacks? There isn’t much to tell you about the CheapAir.com affiliate program because it’s like many others offering airfare partnerships. The main draw you’ll likely have to the CheapAir offers and promotions are its fun branding since flight deals include listings from other sites. In all, CheapAir is at least something different to add to your list of airfare affiliate programs. Some followers will prefer working with a smaller company – especially with their experience as travel agents.